Volume 3 Issue 9 April 2019 CHANGING TEACHERS’ LIVES EVERYDAY, EVERY WAY! Reporters Anushka Yadav, Ashima Sharma, Anuj Kr. rom among the many students in a class, a small percentage of toppers may join the IAS or become engineers, corporate executives and join Microsoft and Google and so on. But what about those like Ravi Santlani, in his childhood? The back-benchers, the ones who never obsess over marks and grades, the street-smart but far from bookish breed? I was not very bright in studies but from young, I was well aware of my natural ability to solve problems of different shapes and sizes. I knew how to talk, build relationship and network—yes, even back then! In fact, this ensured I was rather a famous child at school— not always for all the right reasons, of course! These, contrary to most harried teachers’ beliefs, were natural leadership characteristics asserting themselves. Invariably it’s the ‘badmaash bachchas’ who possess these leadership skills, and accomplish far more than expected. It does not follow that students who aren’t too academically inclined won’t be successful vis a vis the toppers of the class. A lot of so-called ‘failures’ in academics have proved to be great entrepreneurs. Like Alibaba’s Jack Ma, many others who are at the top in their entrepreneurial journey, were not necessarily good at academics. I think if entrepreneurship education existed when I was in school, I would have been a better entrepreneur today. Entrepreneurship does not require a certificate. But does that mean we wait till our kids are adults to provide them with the knowledge, skills and motivation to encourage entrepreneurial success in a variety of settings? With society developing with technology and innovations, it’s time to rejuvenate our stagnant K-12 school scenario. Education is the driving force behind every country’s economy and it is time to ensure our students do not lack the advanced skills and innovative thinking to work through the challenges in the workplace. Not every child will grow up to be a Mark Zuckerberg. But the least we can do is equip them to think creatively and ambitiously, and thereby nurture talents and skills, create opportunities, instil confidence and stimulate the economy. Yes, so many pluses and we are still pondering the issue? IMPORTANT INSIGHTS It was pure joy reading about the Early Ed Asia conference in Jaipur in your March issue. Early education is often ignored in our country while it is a known fact that a child's brain develops rapidly up to the age of five years. The ECA is doing a great job by promoting the importance of early education in India. 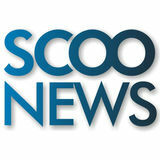 Thank you, ScooNews for conducting the conference and sharing so much insight into early childhood education. Thanks ScooNews for the special coverage of Early Ed Asia. It enabled educators like me, who couldn’t make it to Jaipur, to still catch up on all the wonderful and insightful lectures and sessions. I was particularly touched by the words of Dr Anupam Sibal on New Age Parenting. It was heartening to understand that for a child, we are a parent, nothing more and nothing less, with whom they want to share how their day went. I fully agree with his emphasis on not wanting to create perfect children with the “perfection bug” because “we aren’t perfect parents” either. As parents, we do need to have two-way communication with our children, with values slipped in real-life situations and interesting stories of personalities, as Sibal suggests. As a parent, I am now working on ensuring I have my child’s undivided attention for 15 minutes every day while focusing on what I want to teach her with my actions. Your March issue was filled with information on early education from experts in the field including Dr Swati Popat Vats, Stefano Cobello, Claire Warden and Dr Ernesto Burgio. It would be great if we can incorporate some of their ideas into our preschools so that our children get the best. Claire Warden's kindergarten would be ideal for our tiny tots to grow in tune with nature. The job of a preschool teacher is immense and with the right training, they can make a huge difference to many lives. Let's use all the information we can get from these experts to better our preschools. Teacher Prize A most well-deserved win… Peter Tabichi, a teacher from Kenya’s remote village Nakuru, who gave away most of his earnings to poor students, was adjudged winner of the $1 million Global Teacher Prize. The award, that honours one exceptional educator a year, is granted by the Varkey Foundation, whose founder established the for-profit GEMS Education company. Tabichi, a Mathematics and Physics teacher, gives away 80 per cent of his income to help the poor in the remote village of Pwani. Here, almost a third of children are orphans or have only one parent, and droughts and famine are common. Peter is the first African male to have won the award, which was announced by Dubai Crown Prince Sheikh Hamdan bin Mohammed bin Rashid Al Maktoum. He had started a talent nurturing club and expanded the school's Science Club, helping pupils design research projects of such quality that 60 per cent now qualifies for national competitions. Interestingly, India’s own Dr Swaroop Sampat Rawal, Life Skills teacher at Lavad Primary School in Gujarat, had made it to the top 10 finalists from among the 10,000 applicants. The awards ceremony, held in Dubai, was hosted by actor Hugh Jackman. Cabinet approves reservation in Teachers’ Cadre Ordinance The Union Cabinet, chaired by the Prime Minister Narendra Modi, has approved the proposal for promulgation of "The Central Educational Institutions (Reservation in Teachers' Cadre) Ordinance, 2019" considering the University/ College as a unit instead of 'Department/ Subject'. This decision is expected to improve the teaching standards in the higher educational institutions to attract all eligible talented candidates. It will allow filling up of more than 5000 vacancies by direct recruitment in Teachers' Cadre duly ensuring that the Constitutional Provisions of Articles 14, 16 and 21 shall be complied with and stipulated reservation criteria for the Scheduled Castes/ Scheduled Tribes and Socially and Educationally Backward Classes are met with. power of innovation to find solutions to India’s concerns in diverse domains such as health, education, food security, energy access, environmental protection, and national security. We have to make all efforts to promote an innovation culture and become an innovation society. This will provide us the best possibility of ensuring that every young Indian will have an opportunity to realise his or her true potential. The Rajasthan government will be naming government schools after the names of the 15 martyred soldiers who were defending the nation's volatile borders. The initiative is expected to bring students closer to the sacrifices of the armed forces and will promote them as real-life heroes and role models for the future generations. Among the schools to be named after the slain security personnel, one school is in Churu, Jhunjhunu, Nagaur district each, two schools in Alwar and Sikar district, and one school in Jodhpur and Jaisalmer district each. TRENDING Google Bolo reading-tutor app launched in India As the smartphone penetration expands in rural India, Google is hoping to piggyback on it to help children with their reading skills. They launched the Bolo Android app, that is a speech-based reading-tutor app aimed at rural kids, who otherwise may not have access to a good education support system. Being released in India first, the Bolo app is now available for free via Google Play and can work offline. Google believes that technology has the power to help transform teaching and learning, and has been actively directing products, programs and philanthropy to ensure that all students are able to benefit from it. Built for native Hindi-speakers in its current avatar, the Bolo app helps the children improve their Hindi and English reading skills by encouraging them to read aloud. It comes with a large number of engaging stories, which the company hopes, will help the children in improving their comprehension skills. The app has been designed to make sure that children don't need any help in using it and can read all by themselves. Google notes that all the reading material on the app is free and it is working with other companies to bring more content to Bolo. Doctor provides free food and education to patients With an aim to help poor people, this 80-year-old physician, Dr Siddalingappa Murugeppa Yeli, distributes free medicines to his patients taking less than Rs.30 as consultation fee. While some offer him Rs.10, Rs.20 or Rs.30, a few don’t even pay anything and those who pay more than Rs.30 are returned the excess amount. As the patients wait for their turn at his clinic in Davanagere, they don’t get tired of praising him. He even recommends free tests for the poor at his diagnostics centre and even gives bus fare to those in need. That's why he is known as ‘The walking God of Davanagere’. Dr Yeli has been serving the poor in Davanagere for 50 years. Patients say he also conducts a free medical camp at Shivayogi Mandira once a year. “It is my duty to serve society as I have benefited from it greatly. There is nothing special in this,” the doctor says. ‘W alking Library’of Bangladesh no more “People in my village do not pursue studies. Where is the time? Hunger makes them toil all day. That’s why I thought if I can somehow initiate them to reading…” a 96-year-old Polan Sarkar had once shared. He himself could not complete school but had been making the poorest of poor of Bangladesh read for the past 30 years. Recognised and revered as the ‘Walking Library’ or Alor Ferrywala (‘Peddler of Lights’) in his motherland Bangladesh, noted social activist Polan Sarkar breathed his last on March 1, 2019, at 98. Born as Harez Uddin Sarkar on September 9, 1921, in an obscure village of Natore, Bangladesh, Polan Sarkar got popular later in life with the nickname fondly given by his mother. Financial constraints did not permit Polan to pursue his education beyond the sixth standard. However, a young Polan had already picked up an addiction—the addiction for reading. As a young adult, Polan joined a folk theatre group and acted in small comic roles. In a 2017 interview, Polan Sarkar had said, “I have seen people donate food or clothes, but nobody ever thinks about donating knowledge.” He himself was the flagbearer of this concept in his country. The book crusader created a reader base of 5000 people across ten villages, simply walking on foot. Unsurprisingly, his gifts to his friends, relatives or acquaintances, on any occasion, would always comprise books. The people of Bangladesh have honoured the legacy created by Polan Sarkar through several awards, including the country’s highest civilian award for social work – Ekushe Padak. He was not someone to be swayed by the success and had always continued heralding his tradition. He had kept aside all the money he received with the Ekushe Padak, for renovating his school and library. Karnataka ed dept locks MOU with Embassy Group Embassy Group has locked in a Memorandum of Understanding with Karnataka Government's Department of Education for holistic growth of children of Bengaluru and surrounding areas. The MOU entails providing support to 16 government and semi-aided institutes to improve their knowledge patterns and skill capabilities. The MOU, signed for the next two years, was inked between the Government of Karnataka Department of Education and Embassy Group's Managing Director Jitu Virwani. It would include designing courses that look into deficiencies in learning outcomes of students and focus on targeted oriented results. The syllabi and teaching will be the focus areas so that results show an upward trend. Their other initiatives include distribution of school uniforms, books/notebooks, stationery, to deserving students. It also includes classroom collaboration through interactive learning sessions, discussions, e-classrooms, vocational training, scholarships and alumni exchanges etc. In the recent years, the share of schools that comply with the Right To Education guidelines have increased by a mere 3.7 per cent, says a report on RTE implementation. Implementation of RTE has risen marginally from 9 per cent in 2013-14 to 12.7 per cent in 2016-17 according to the Unified District Information System for Education data, said a study by The RTE Forum, a coalition of over 10,000 organisations across 20 states. This boils down to an average of 1 per cent per year. At the current rate of progress, the report states, it will take India 87 years to make every school compliant with its very basic quality norms. PMO intervenes to end Kerala disabled boy’s fight for education Thirteen-year-old Muhammed Asim’s determination has paid off. Born without hands, Kerala’s Asim had approached everyone he could for the last two years to help him continue his education. Asim got a boost from the Prime Minister’s office, four days after he started a protest march from his house to the state secretariat after all his attempts to get his school in Omassery panchayat in Kozhikode district upgraded to a high school failed. Prime Minister Narendra Modi’s office has directed the Union Human Resource Development ministry to consult with the state education department and address his issue immediately. The son of a madrassa teacher, who has 90 per cent disability, he had completed his class 7 from the Government Mappila Upper Primary School in Omassery, which is just 250 metres from his house, in 2018. Asim had written several letters with his feet to many leaders, including Kerala chief minister Pinarayi Vijayan, to seek their support. Everyone promised to help but nothing came up. With the intervention of the PM’s office, Asim said his goal is now in sight. Asim said if the school is upgraded it will benefit many other children, including some from the nearby tribal colonies. “My education is my right. I want to study well and want to become a teacher. Once I achieve this, I will work among people like me to improve their lives,” he said. value system, and to build high human capital. The educators, policymakers and civil society are aware of the challenges that we face today in the country. Over 17 million children and adolescents are out of school, according to a report published in UNESCO’s eAtlas of out of school children. The share of GDP to education is hovering below the targeted 6% hampering efforts to provide educational access, especially to the weaker sections, investment in research and technology, teacher development, skilling, and in creating a pipeline of the employable workforce. Over 10 million young people in India need jobs at any given time. We face four fundamental challenges in school education; 1. Failure to retain every child in the school and to keep them on track (17% of the children who enrol today in class I, drop out before they complete class VIII), 2. Lack of education and skilling opportunities for dropouts, 3. Inability to respond to cognitive, socio-economic and linguistic diversities, and 4. Failure to teach entrepreneurial skills. substantially enhancing fund allocation and managing its utilisation efficiently, we will miss the targets of SDGs to be achieved by 2030. The SDGs call upon the nations to eradicate hunger and poverty, provide clean water and energy, to ensure wellbeing and prosperity to all the citizens. India is such a buzz in the country. The inspiring stories of Flipkart, Ola cars, redBus, Oyo Homes, and others are encouraging the young to take a risk and create a niche for new products and services. The question is how do we integrate enterprise education in the school curriculum? We can do it in many ways. One, the teachers must develop a mindset of growth and innovation in addition to their domain expertise. The other effective approach would be to encourage students to take up projectbased work, to be resourceful and creative. Job-shadowing and internship at the school level have the potential to foster the required traits. Most schools have begun to make teamwork and collaboration mandatory in task completion. Students are working together to develop soft skills such as effective communication, presentation, debating, and gaming to sharpen problem-solving abilities, useful articulation of thoughts and vision to influence the stakeholders to play a crucial role in entrepreneurship. Encouraging students research about successful people in business will impact the young in many ways. Children are capable of taking up issues, raise voices, manage events, run school-based enterprises which must be encouraged and facilitated. At no point in time, any society or the government can provide jobs to all. However, the individuals imbued with entrepreneurial traits can create jobs for many with the spirit of innovation, the ability to take risk and experiment. The Late Ramakant Achrekar who coached the legend Sachin Tendulkar famously exhorted the young Sachin, “How long will you sit in the stands and clap for others. Go out in the middle and let the world clap for you.” We all know what followed. If Achrekar were to advise the job-searching youth, he would say this, “How long will you stand in the queue competing with thousands for a single job, go and create jobs for others.” The vision statement of educational institutions needs a rewrite. Lifting the students beyond classrooms by helping them develop an entrepreneurial mindset so that they can sense opportunities and take action is the new goal of education. That demands we create an environment which encourages new ideas and approaches. Making a mistake should be the new normal. John Adams, one of the classical music’s preeminent living composer and entrepreneur, said, “I am like a gardener: I have these ideas, and I let them grow, but I know where to trim and pluck.” The entrepreneur’s mindset is like that gardener. students to participate in all the exhibitions and competitions held in the premises. Each one of them should be given a chance to speak about the project. In secondary school level, all the students should collectively think, design and construct projects as a team. Brain storming activities in groups should be conducted in the school and each project should have two dimensionsâ&#x20AC;&#x201D;how it will help society and how it can be transformed to a profit-making business enterprise. Proper evaluation and valueaddition - The student-made projects can be judged by external resources who can give valuable feedback to the students on how it can be improved. Teachers can help the students to note the feedback and incorporate it in their project. Students can be encouraged to take the project to an advanced level. At SAI International School Start-Up or Business Model competitions are held every year for senior secondary students of Commerce and in the year 2018 it was introduced for senior secondary students of Humanities. These competitions are judged by eminent people who have a vast experience in dealing with startups or entrepreneurship. Their valuable advice has inspired many of our students to take up entrepreneurship. not only help them become better entrepreneurs but also become wise individuals who plan their money and live a life without worrying about it. Enhancing communication skills Good communication, public speaking, or debating skill is one of the essential traits of an entrepreneur. Debates can be conducted on creative topics, so as to stimulate the minds of the students and encourage them to think out of the box. This helps in using imagination to expand the creative thinking process, reason logically to connect information and strategise ways to reach the goal. To be good orators one needs to hone his writing skills so that the child is able to communicate in the best possible way. Entrepreneurship education is a way to inspire students to develop their ideas into full blown projects and also to communicate that mistakes are not bottlenecks, rather they are great learning experiences. Parents and students need to recognise that entrepreneurship or self-employment can be a career choice. Profitable business ventures can have a tremendous impact not only on the self but will lead to a sustainable economic growth of the nation. Entrepreneurship education can only be fruitful if the teachers and students are equally motivated. ntrepreneurship education should be the outcome of an urge to manifest such perfection in the learners. An urge to manifest what is innate in mankind, to achieve inner satisfaction. ulties and let them grow. These are important and are extremely helpful for learners in acquiring 21st century schools, but are not so highly regarded by many universities or parents; they are not academic enough and are sometimes pushed to the sidelines of co-curricular. From a very young age we allow learners to use colours and tools in order to give shape to their imagination. We try to create an environment at home and in school that supports and nurtures imagination, encouraging creativity. As time passes, the learner is guided to excel in what the curriculum and the assessment boards want rather than what his or her mind is craving for. Therefore, as institutions, schools themselves need to be more creative and offer opportunities for scholarly learning that exercises the imagination. In the process of designing a curriculum (not the same as delivering the syllabus for an assessment board) we keep revisiting such ‘bucket of learning opportunities’ to include what is contemporary and likely to add value and throw out anything that has lost its importance or place in time. discourse. It got scaled up from intra school to inter-school. Sir Ken Robinson (British author, speaker and international advisor on education in the arts to government, non-profits, education and arts bodies) opined in his Ted Talk that ‘schools kill creativity’. I wonder, should we not think differently? ‘The batch system of production’ model was adopted for education two centuries ago. It has helped to create executives for the world consisting of simple to complex mechanics and labour, but for a world with autonomous robots, intelligent assistants, human machine convergence and such technological advancements pushes us to think differently. Maybe we will have startup hubs in school to supplement learning for the next generation. Maybe creativity and imagination will find context and inspiration though an educational eco-system that will encourage risk taking, enterprise and the resilience required to keep going when things don’t go your way. cially in urban slums of Delhi and rural Madhya Pradesh/Gujarat has had vocational and training support along with skills training. Higher rate of education completion (66%) is observed among them as compared to the control group. alt Disney’s quote defines the true essence of what good entrepreneurs do—they don’t just hold on to an idea, they get the ball rolling. Our teachers are doing a fantastic job of training students to learn topics that are covered in their textbooks, guiding them morally and making them independent and self-sufficient. They are also often focussed on preparing students for the future - to make them strong, confident and sometimes ready for jobs that are not even discovered yet! (It is true that technology is taking over a number of jobs and we cannot predict the jobs that will be available 10 years from now). We are living in a time when students will most likely use their skills to create their own employment. They may not use their skills to join a workforce necessarily. In this case, it is the risk-takers who have a better shot at success. This, in turn, implies that teaching entrepreneurship in schools is imperative and can have far-reaching results in encouraging students with creativity and encourage them to work hard towards a goal. Entrepreneurship education prepares students to identify and address challenges and opportunities. homemade watermelon juice to tired gym-goers at 10 am during her summer holidays. “She made the juice and sold it at a profit of almost 110 per cent! What she figured was the ability to judge that there is a buyer’s market and she figured the pricing on her own. She even used a USP ensuring that she used organic watermelon and brown sugar (keeping in mind that her target audience are gym goers),” she proudly remembers. Government initiative The Delhi AAP government took a step in the right direction by launching the Entrepreneurship Mindset Curriculum Framework for government schools in February, this year. The Entrepreneurship Mindset Curriculum Framework was developed by the State Council of Educational Research and Training (SCERT). COVER STORY Deputy Chief Minister Manish Sisodia had explained that the curriculum would invariably bring about a paradigm shift in the education system in the way students explore and learn and in the manner teachers facilitate and guide these exploratory processes. He also emphasised that an entrepreneurial mindset was required for all professionals to be successful in their career. Success stories of various professionals and public servants testify it. It will be implemented in all Delhi government schools from classes 11 to 12 and will build awareness and knowledge of various aspects of entrepreneurship among the students. The curriculum is expected to inspire students through various entrepreneurial stories, case studies and many mindfulness activities and approaches. It focuses on imparting the personality and character traits of successful entrepreneurs other than the business aspects of entrepreneurship. The curriculum is expected to be launched as a pilot project in 15-20 schools in April and will see a full-fledged launch in all government schools in July. ‘School teachers are the most important influencers’ …Says Pradeep Mishra, Founder, Leader to Creator, India's first organisation providing entrepreneurship training to children Why do you think entrepreneurship learning should be introduced in schools? Our entrepreneurship for kids programme intends to make a remarkable impact on various fronts of developing nations like India. The world has migrated to a knowledgebased economy where innovation and entrepreneurial mindset will be a game changer. We cannot push the youth directly into jobs after their attain their degree. My conviction is that an entrepreneurial mindset can only be beautifully crafted at an early age. Children can be exposed to a controlled economic environment so that they understand the world around them and relate to it. They can recognise the problems of people as an opportunity and come up with innovative solutions which are scalable. Our entrepreneurship programme also helps students unleash their creative potential in a big way. The entrepreneurship programme also focuses on life skills such as critical thinking, problem solving, time management, self awareness and personal brand image. These skills help them excel in any field of their choice. Kids have ideas but giving them a proper ground and skills to make it a functional model is what we do. Studies have shown that 80 per cent of our graduates are not even employable. This is the consequence when we have one size fits all approach in education. How many schools do you cater to? In 2017, Leader to Creator has been shortlisted by Economic Times Power of Ideas. I have personally interacted with more than 5,000 students. We have worked with 11 campuses and we are operational in three states with expansion in Nepal. Our in-house "Train the Trainers" programme is creating a pool of passionate trainers who can operate in different parts of the country. We have identified six more states touch points in Northern and central India, where we will be operational this year. We are also encouraging schools to nominate teachers who are interested in getting trained. What was your inspiration to start Leader to Creator? I have seen the pressure of placements and degree completion. I have witnessed the shattered aspirations of students who are not doing the things they wanted because their talent could not be converted into a business model. I worked with a few reputed brands in my career and there the problem was scarcity of talented people. So on one hand, students are looking for jobs but the industry says they are not good enough. Economics shows that there are too many problems that need to be sorted out in our country. It means that there is a lot of work to be done. At the same time, we have a workforce that is looking for jobs. Do you notice the gap? Our mindset needs to be changed and the necessary skill set needs to be imparted. However, the moment we started teaching entrepreneurship in colleges, it only added on as another subject to pass. Students often asked me “Will this course help me get better placement offers?” Leader to Creator is bridging this gap. How has the response been from schools? Majority of schools are now interested in trying new things because they strive to be ahead of the times and they are committed to provide a better future for their students. There are schools where people still think that entrepreneurship is a business study meant for business schools only. We must sensitise education forums about entrepreneurship education as this is happening all across the globe. Awareness is the key. Is it hard to convince the parents? Fortunately, in our country, teachers are perceived as the best guide for a student's career and future. Parents trust them and kids listen to them. Leader to Creator is continuously working for awareness programmes in schools. We organise free seminars in schools during PTMs and other fests, but school teachers are the most important influencers. COVER STORY ed. The brainstorming session can improve their critical thinking skill and problem-solving abilities. They can explain how their idea can bring about a change in the society. Teach students to think about what’s positive or strong about their work and let them ponder on their weaknesses to find the changes needed to make their product more interesting. Discuss solutions: Students often complain about facilities or rules that are implemented in the school. Teachers can encourage them to come up with solutions to these problems based on discussions rather than giving them space to complain. This can have positive outcomes. It can improve the relationships among students, improve their self-esteem and encourage problem solving. Discuss success stories: Encourage students to research on successful entrepreneurs and their methods and strategies and get them to discuss them in class. Each entrepreneur uses different skills and strategies to make their way to the top. For example, Oprah Winfrey relies on her oration skills and compassion while Steve Job’s quest for innovation and perfection made him reach the top. Such discussions also encourage students to find out what they could have done better to improve their skills. Learning a business: Students can practice writing interview questions and conduct interviews with entrepreneurs. The information can then be compiled into a directory of the types of goods and services, locations, and hours of the businesses. Students can then discuss the location, advertisement and the products involved in the business. Encourage imagination: Creativity dwells within imagination. Pass around common objects to students and encourage them to imagine the object in a different outlook. This will help students see the same object through a different perspective. The Global Student Entrepreneur Award (GSEA): Student entrepreneurs compete through regional competitions to win their shot at going head to head against the best student entrepreneurs in the world at the GSEA. Undergraduate and graduate college/university students who own and operate a business for at least six months are eligible to compete for the $20,000 cash prize. The Big Idea (Australia): Coordinated by The Big Issue, The Big Idea is a social enterprise planning competition. Open to undergraduate and postgraduate students of participating Australian universities, applicants are invited to develop a concept and business plan for a brand new social enterprise. Shell LiveWIRE: Shell LiveWIRE aims to inspire young people to find solutions to energy and resource challenges facing today’s society. National Association of College and University Entrepreneurs - A membership charity organisation fostering student entrepreneurship with a focus on supporting the creation of enterprise societies in educational institutions in the UK. Santander Universities Enterprise Portal - The portal helps young entrepreneurs win funding for their startups, build their business knowledge and access networking opportunities. Tycoon In Schools - Tycoon in Schools gives upcoming entrepreneurs, aged 5-18, a start-up loan between £50 to £1000 to manage a business while at school or college. Teaching entrepreneurship skills in school is not merely for helping a student identify his skills or to fulfil the ultimate goal of starting a firm. We need to provide teachers with the appropriate training to impart knowledge to students in a way that they can understand and be involved and interested in. The learning can provide life lessons like perseverance, money management, problem solving and much more. The classes will enable teachers identify potential entrepreneurs and give them the support they need to move ahead towards their goal. Let’s not merely include it in our syllabi as yet another subject. Let’s adopt it in a way that it becomes a life-changing experience for our students, where they learn values and skills that they can use when they become successful adult entrepreneurs! ntrepreneurship is a serious career choice for several young people - many students have the aspiration to become the next Steve Jobs or Mark Zuckerberg or Vijay Shekhar Sharma. They dream of starting up and becoming successful like a Paytm or Flipkart or Oyo or Ola. Moreover, with technologies like robotics, machine learning, smart-bots and artificial intelligence, several million jobs will no longer exist. And this is not a faraway future. These technologies are in play now, and already transforming several industries. Think of manufacturing industries which use robotics instead of traditional human-led manufacturing. Or when was the last time you called up a call centre to check your bank balance? But despite the interest and aspiration, most students just do not start up a business because they fear that they donâ&#x20AC;&#x2122;t know how to run a business. Teaching students the basics of business in schools will encourage more youth to become entrepreneur-job creators. And our country needs lakhs of job creators, else we will have a severe social problem on hand. But it is not just about starting a business. A holistic understanding of what it takes to build a business will give students an advantage in their life whether they start their own business or take up a job or even start an NGO. It will therefore be useful to have a foundational programme in schools to help students understand the basics of building a business. The current education system was designed largely to create employees. And parents and students used to evaluate education institutions on how well the students from those institutes got placed. As jobs vanish, the parameters on which education institutions get evaluated will change to assessing how well students are prepared for life in general, and professional life in particular. And entrepreneurship and self-employment will be a key area of career choices for students going forward. It will be therefore important for education institutions to build a strong foundation for teaching students about business and entrepreneurship. There are several ways in which we can make learning about entrepreneurship and business exciting for students. Apart from a structured curriculum designed around case studies that students can relate to and are interested in, there are a number of initiatives that can help make students more business aware. BITS Spark Angels (BITS Pilani alumni’s alumni angel group) are excellent examples of alumni angel networks. While BITS Spark Angels looks at investing in startups founded by current students or alumni from that institution, Harvard Angels – India is open to investing in any high potential startup. Much like most business schools and engineering colleges have entrepreneurship cells, it will be great if each of these institutions also have an alumni angel network. Closed-knit forums like these have the potential to significantly increase the entrepreneurial activity in the country. Emergence of newer angel groups is excellent news for the startup eco-system in India. We need to be able to provide capital to thousands of aspiring entrepreneurs so that they can create strong businesses that can create more jobs. hen we think about the term entrepreneurship, we think of words like business, enterprise, capital, franchise etc. A glaring error, we tend to associate an interesting subject with only “business”. But entrepreneurship education is more than business, it’s more than creating mini capitalists. Just like early childhood education prepares children to be prepared for formal schooling, entrepreneurship education helps students prepare themselves better for their post-school future. neurship as a theoretical subject in schools; “While studying entrepreneurship in school, I realised the curriculum focuses on theory more than the practical aspect. As students, we wish to attain practical knowledge and skills that will help us to understand the importance of not just business ownership but living as a confident individual with a balanced life as well. For this to happen, we need the voice of real experience along with focus on developing practical and life skills,” says Abhimanyu Singh, a class 12 student from commerce stream. their point of view forward, they can be good leaders as well as team members while being on board with the ideas the team has; igniting the belief to make something better happen. It equips young people with the adaptability and attitude required for an unpredictable future while providing them with a greater understanding of the real world. The psychological barriers are broken efficiently and smoothly when students are given the chance to understand how this real world works while meeting the employers and employees. But how do we do that? Ask yourself first whether entrepreneurship can teach children valuable life skills that are often lost in quotidian classroom instruction. The answer is probably yes but don’t confuse teaching children home economics with entrepreneurship. Before teaching our children, we, as educators and parents, need to see the subject as something broader, a programme that acts as a catalyst to the individual’s growth. We need to raise lifelong learners and agile thinkers for a world losing its grip on traditional jobs. Entrepreneurship education aims at giving individuals the space to envision what their future might look like while learning how their own passion and skills can be channelled in a certain way. What skills, you may ask? Our children need transversal skills such as innovative and critical thinking, the ability to function in teams, to be an information literate, self-aware and motivated. There is an urgent need to equip young people with life skills because they don’t value fulfilment and are left in a maze without any knowledge on how to reach the final destination. Why and how does that happen? Because it doesn’t exist in their lexicon of terms; they are brainwashed with the pattern study hard, score a perfect grade and move to the next challenge. Instead of teaching life skills through the traditional moral science class, entrepreneurship education can be a fun, impactful and engaging alternative. “When looked at closely, the major content of entrepreneurship curriculum is all about life skills as they are the foundation of a productive life. And the best part is that all the skills can be learned,” says Mishra. You might ask, what kind of life skills? Entrepreneurship teaches children that sometimes the goal is to get to the next stoplight. And it may take up to six months or more to get there. Students understand the need for grit or perseverance for success as overnight successes are a myth. They learn to keep going even when things take the wrong turn. They are able to delay gratification on their road to creating their own product. “Life skills are the most discussed yet least understood skill set. Imparting life skills is even more challenging. It includes problem solving, critical thinking, public speaking, interpersonal communication skills, decision making, leadership, personality enhancement, stress management, discipline, problem recognition, time management, goal setting, strategy formation and brainstorming,” Mishra adds. Finally, their entrepreneurial endeavours teach them skills of management and leadership. They work with other students, suppliers, marketers, retailers as well as customers for their product to thrive in the market. Learning to become street smart and developing people skills goes a long way in all fields. We live in a digital age where the youth are crawling under a heap of expectations, at the expense of their mental health, to keep up with the rat race. And if they wanted to listen to a fable, they would listen to an audiobook on YouTube. They need to know how to face an interview – enhance their body language along with vocal cues while carefully observing the interviewee and the atmospherics. This example is just a drop in the vast ocean of entrepreneurship education and its capability to inculcate life skills in the coming generations. Years of monotony have compelled them to perceive entrepreneurship as another subject to score in. The education system needs to break free of this monotony and take the risk of making entrepreneurship education more than just a business class. I believe a child is like wet clay. These are the best formative years of their lives; whatever you feed them will become their value system for life. Most of the times, we try to forcibly educate them in certain bookish language, just to pass an exam. This saturates their minds, and they have nothing more to take. So let’s stop that and start encouraging young kids to understand entrepreneurship. The very first step of entrepreneurship is taking risk. We Indian parents don’t even allow our 25-year-olds to take a risk. I am talking about allowing our kids to run a little longer, jump a little higher, swim a little farther, and play with that ferocious looking dog once in a while. And most importantly when they score low or fail in an exam or when they are unconventional in a classroom, don’t reprimand them, but rather appreciate them for making an attempt and for being different. You make an entrepreneur by giving them the seed of hope, because an entrepreneur without hope or the ability to take risk is useless. I am not great in monetary terms because we never speak about money with kids. But I believe it’s the right age for the kids to understand the value of money. However rich or privileged you are, you’ll always see the world’s biggest entrepreneurs come from the lowest strata of society where they did not have enough money to even buy a meal. I believe poverty, being unprivileged is a degree. I am not asking your children to deal with poverty, I am just telling them to earn what they want, through the games that you want to do, and through the talks that you want to say. Do not create a false picture of who you are before your own kids. The branding that you do, showing the world that you are living in the best flat, driving the best car, and wearing the best branded underwear, it’s for the world the see. But your child needs to know the truth. Don’t let them be the victim of the EMI. Don’t let them fall in this new age of EMI payers. A child needs to be exposed to risks. A child has to be allowed to have hope. A child should be allowed to fail. A child should understand the value of money, where it comes from, and how they should spend it. Another important thing about entrepreneurship is if a child wants to work, let them do it. Let them face the challenges of the world, let them have the doors shut on their faces, let them be on the counters of McDonald’s, let them go to houses trying to sell things, let them write articles for a newspaper, let them be the last dancers in a Broadway show. Let them do all of that because while we want our children to be most important people in whatever they do, they need the experience of being the least important people too. There can’t be a better learning than that. Yes, I totally am for teaching children entrepreneurship from a very young age. And it’s a great idea because entrepreneurship is synonymous with survival. An entrepreneur for me is a person who doesn’t know where his next meal is going to come from, or which is the next city he or she is going to travel. For me, an entrepreneur is like a mountain climber who is halfway there, he can’t come down, he has to go up or tumble down. And I believe if we can put a survival instinct in every kid using entrepreneurship and its learning, we will have a responsible child. …Something Neha Gupta did at age 9. Traveling with her family to India from a young age, carrying gifts and food to orphans living in their hometown, she knew that she could do more. Making homemade wine charms, selling them door-to-door and throughout her community, Neha raised money for education and school books, helping cover expenses for orphans. As founder of her non-profit organisation, Empower Orphans, she has raised well over a million and has received many awards. You can make a difference—and how!—as you pursue success. fabrics from his grandma’s closet, he realised that he had grown too big to do it all singlehandedly. While his mother handles the business while he is at school, he has also hired seamstresses to help with the orders. Along with drive and passion, it’s crucial to build a team of trusted people and give up the need to control everything. Building and then delegating is key. Leanna Archer of Leanna’s Essentials, a range of organic hair products, went through her share of hiccups before turning her homemade products business into a company worth $5 million. The 11-year-old believes failures can influence success, and as she continues to grow and develop her business, she will not allow the fear of falling to hold her back. Like Mikaila Ulmer, who added local honey to her great grandma’s flaxseed lemonade recipe, donating the profits to help save the dying bee population, these young achievers teach us that it is passion that is one of the greatest motivators which drives success. It provides the motivation to continue even after encountering challenging obstacles, when converting that passion into a business. Mikaila’s brand, Bee Sweet lemonade incidentally was picked up by Whole Foods for a whopping $11 million, and she continues to give a portion of the profits to help save the bees. The results are satisfying on many levels. Sixteen-year-old Noa Mintz, who runs a full-service childcare agency in New York City, believes that the best part by far is the fact that she is a job creator and has been able to get so many people employed. Mintz, who is on Fortune’s list of the 18 most innovative and ambitious teens under 18 years of age, finds this “rewarding and empowering.” Money, incidentally, is never the main driving force. For Mihir Garimella, creator of Firefly, a low-cost, intelligent drone for first-responders that can enter and explore dangerous environments to find people who are trapped, it’s all about digging into problems that he sees or experiences. For Shubham Banerjee, founder of Braigo Labs, it’s about “innovating for the right reasons—money is not one of them.” And like Haile Thomas, founder of Healthy Active Positive Purposeful Youth (HAPPY) believes, it’s all about being a leader not a follower. Last but not least, as Bella Tipping, founder of Kidzcationz.com, avers, ‘If you can think it, you can do it.’ May their tribe increase! Identified as Indiaâ&#x20AC;&#x2122;s youngest app developers, the Kumaran brothers have launched and developed 12 apps, which offer solutions to some of the most challenging social problems in India. They founded GoDimensions, a technology company with focus on developing simple solutions for the digital world, when Shravan was 12 years old and Sanjay was 10 years old. The duo looks forward to donating 15 per cent of their total profits to charity. Suresh embarked on her entrepreneurial journey at the tender age of 10. She established eDesign Technologies, a website designing company that offers services such as website design, web development, SEO and logo designing. The youngest web designer girl and CEO in the world, Suresh has already designed and developed more than 100 websites for various institutions and organisations including Bar Council of Kerala, Angels International, EHP India, Mammas Passion, and others. The young entrepreneur started working with computers professionally at the age of 11. Over the years, Chawla gathered knowledge of over seven computer programming languages using books and internet. At the age of 11, he founded a social utility for people to connect with each other globally, on January 1, 2011 called Group For Buddies, and on March 7, 2011 he founded an IT company for IT solutions called Asian Fox Developments. On May 15, 2013 he founded a company for web solutions called Global Web Mount, and on July 27, 2013 he founded another company for Media & Marketing services called Mind-In Advertising. Shubham Banerjee Founder - Braigo Labs Inc.
Braigo Labs was founded by Banerjee in 2014 when he was only 12 years old. The company offers low-cost Braille printers to aid visually impaired individuals. Braigo and BraigoLabs are registered trademarks of Braigo Labs Inc. Banerjee believes, “Technology should help us to make our life easier and not become a burden due to high cost”. The latest model uses WiFi and Bluetooth to print text from a website and translate it into Braille automatically. At mere 13 years of age, Kumar founded his own company, LateraLogics and developed two award-winning apps, namely Ez School Bus Locator and iSafeGuard. LateraLogics is a technology company started with a vision to come up with solutions that will help make our world a better place to live! It focuses on custom apps development, web development and consulting. An innovative Android app, Ez School Bus Locator aids parents in viewing the live location of their child’s school bus on map. On the other hand, iSafeGuard is a women and teen safety mobile app that helps them in sending distress calls or SOS messages with location details to the pre-set list of friends and family along with local community volunteers with the same app. While there are many books to read for young, aspiring entrepreneurs, here are 10 of the best books to give young entrepreneurs a dose of inspiration and get started. The Psychology of Selling by Brian Tracy The purpose of this book is to give you a series of ideas, methods, strategies, and techniques that you can use immediately to make more sales, faster and easier than ever before. This is a useful and practical book on all the key things you need to know when it comes to sales, persuasion and consumer psychology. Brian Tracy's ideas are both easy to understand, practical and well thought through. The Art of the Start 2.0 by Guy Kawasaki In this book, Guy Kawasaki brings two decades of experience as one of business’s most original and irreverent strategists to offer the essential guide for anyone starting anything. From raising money to hiring the right people, from defining your positioning to creating a brand, from creating buzz to buzzing the competition, from managing a board to fostering a community, this book will guide you through an adventure that’s more art than science—the art of the start. The Entrepreneur Mind by Kevin D. Johnson In a praiseworthy effort to distill some of the most important lessons of entrepreneurship, Kevin D. Johnson, president of multimillion-dollar company Johnson Media Inc. and a serial entrepreneur for several years, shares the essential beliefs, characteristics, and habits of elite entrepreneurs. Smart and insightful, The Entrepreneur Mind: 100 Essential Beliefs, Characteristics, and Habits of Elite Entrepreneurs is the ultimate primer on how to think like an entrepreneur. Crush It! by Gary Vaynerchuk Gary Vaynerchuck is widely considered a web celebrity and social media expert. He used social media and online video (WineLibrary TV) to gain incredible exposure and propel his wine business to unprecedented success. In Crush It! Why NOW Is the Time to Cash In on Your Passion, readers will learn how to harness the power of the internet to make their entrepreneurial dreams come true. The book has some great tips regarding social media and personal branding. How to Win Friends and Influence People by Dale Carnegie Dale Carnegie’s timeless classic is a book that is packed with rock-solid advice that has carried thousands of now famous people up the ladder of success in their business and personal lives. As relevant as ever, this book's principles endure, and will help the reader achieve maximum potential in the complex and competitive modern age. Learn the six ways to make people like you, the twelve ways to win people to your way of thinking, and the nine ways to change people without arousing resentment. Zog and the Flying Doctors by Julia Donaldson and Axel Scheffler Any organisation can explain what it does; some can explain how they do it; but very few can clearly articulate why. WHY is not money or profit— those are always results. WHY does your organisation exist? WHY does it do the things it does? WHY do customers really buy from one company or another? WHY are people loyal to some leaders, but not others? Robert T. Kiyosaki developed his unique economic perspective from two very different influences - his two fathers. One father (Robert's real father) was a highly educated man but fiscally poor. The other father was the father of Robert's best friend - that Dad was an eighth-grade drop-out who became a self-made multi-millionaire. This clear, well-written, and thought-provoking book is not just about money. It's about how we are taught to think; how we are programmed by schools, family, and friends and the steps we need to take to reprogram our minds. The Lean Startup by Eric Ries Eric Ries defines a startup as an organisation dedicated to creating something new under conditions of extreme uncertainty. The Lean Startup approach fosters companies that are both more capital efficient and that leverage human creativity more effectively. The $100 Startup by Chris Guillebea In The $100 Startup, Chris Guillebeau tells you exactly how many dollars his group of unexpected entrepreneurs required to get their projects up and running; what these individuals did in the first weeks and months to generate significant cash; some of the key mistakes they made along the way, and the crucial insights that made the business stick. This is a great glimpse into what is possible with a small investment, for people who have absolutely no experience in being an entrepreneur or online business owner. Thinking Fast and Slow by Daniel Kahneman Engaging the reader in a lively conversation about how we think, the author reveals where we can and cannot trust our intuitions and how we can tap into the benefits of slow thinking. He offers practical and enlightening insights into how choices are made in both our business and our personal lives—and how we can use different techniques to guard against the mental glitches that often get us into trouble. Thinking, Fast and Slow highly is highly recommended if you are interested in why human beings behave the way they behave and will transform the way you think about thinking. Rather than wasting time creating elaborate business plans, The Lean Startup offers entrepreneurs - in companies of all sizes - a way to test their vision continuously, to adapt and adjust before it's too late. Ries provides a scientific approach to creating and managing successful startups in an age when companies need to innovate more than ever. 1 Savings Spree Geared towards younger kids, Saving Spree is a fun animated app with serious lessons. Easy to use, it teaches kids how a penny saved is a penny earned. Young entrepreneurs learn how making the right choice on small things can add up towards fruitful profits. The game is presented in game show format, taking players through six rounds that test their financial knowledge. 2 Shopify An efficient app for kids, Shopify offers logo maker, guides, videos, and resources for kids ready to start a business. Their motto - Empowering kid entrepreneurs to build successful businesses - says it all. It even helps you sell your product. It is perfect for young entrepreneurs or children who are thinking of starting something exciting! 3 Biz in a Boxx Biz in a Boxx is an experiential youth development product that teaches kids how to start and run their own businesses. It is a DIY youth entrepreneurship programme with a variety of kits for children of ages 7 to teenage. 4 VentureLab VentureLab is an innovative youth entrepreneurship curriculum available free of cost. It is easy to understand and anyone can teach their children how to become young entrepreneurs. Divided and available for grades 1 to 12, VentureLab aims at creating the next generation of changemakers and innovators. 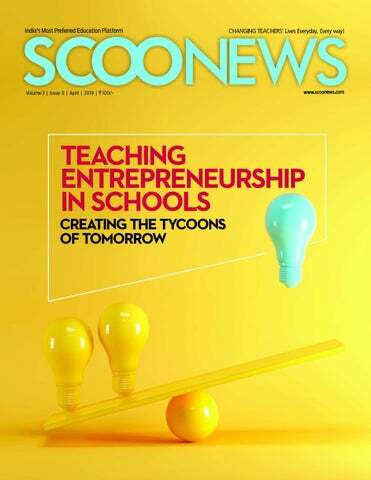 ScooNews April 2019 issue featuring best articles and tips on "Teaching Entrepreneurship in Schools"